It would be the last gun the government would attempt to take from the citizenry. John Moses Browning, the greatest designer of firearms of our time, professed that thought when he designed the Browning Superposed shotgun. Otherwise known as the over/under (one barrel stacked on top of the other), Browning's design was not the first, but it was the first to build the design into an affordable platform. Browning didn't live long enough to see the completion of his masterpiece. Conceived in 1922, the Superposed did not enter the market until 1931, five years after his death. His son Val completed the work on the project and saw it into production. Why did Mr. Browning believe this gun would be the last subject of government confiscation, or even have such a thought at the time? It's rather simple, though not commonly known. The Superposed was and remains the only firearm design conceived purely for wing shooting. The history of firearms design, beginning with the matchlock in the late 1300s, reveals that all but the over/under were originally designed and produced for — in addition to hunting — defense, military or law enforcement purposes. The over/under was developed purely for the enjoyment of the out of doors. At least in the research material available on the subject, no over/under shotgun has ever been pressed into military or law enforcement service. Not to say they haven't been used to shoot the occasional person that needed shooting (or not) but purely by happenstance, not by design. The era of firearms design, from the mid-1800s to the mid-1900s, the period to which we owe the conception of virtually every modern firearm, was a rather bloody time in history. Folks were shooting each other in such prolific numbers that the need for multiple shots in rapid succession became a driving force in firearms development. John Browning was responsible for designing many of the successful automatic weapons pressed into service during that era, and yet he still found time to create the Superposed for the passion of wing shooting. Browning's posthumous masterpiece has become the shotgun design to beat in virtually all clay target competitions and a favorite in the bird hunting fields. Meanwhile, the beloved side-by-side has essentially gone the way of the passenger pigeon in competitive clay sports. The reason seems to be that the majority of shooters, including the author, cannot shoot a side-by-side, with its two barrels in the sight picture, as well. The side-by-side offers the same advantage of the superposed design; balance, shortness in length compared to pump and autoloaders, two different chokes, and the two quickest shots in the wing-shooting arena. Plus, they can be built up to a pound lighter than the over/under counterpart. But if you can't hit with them, all those things become moot. A bonus inclusive in the over/under, and all the break-open firearms designs, is spent cartridge retention. 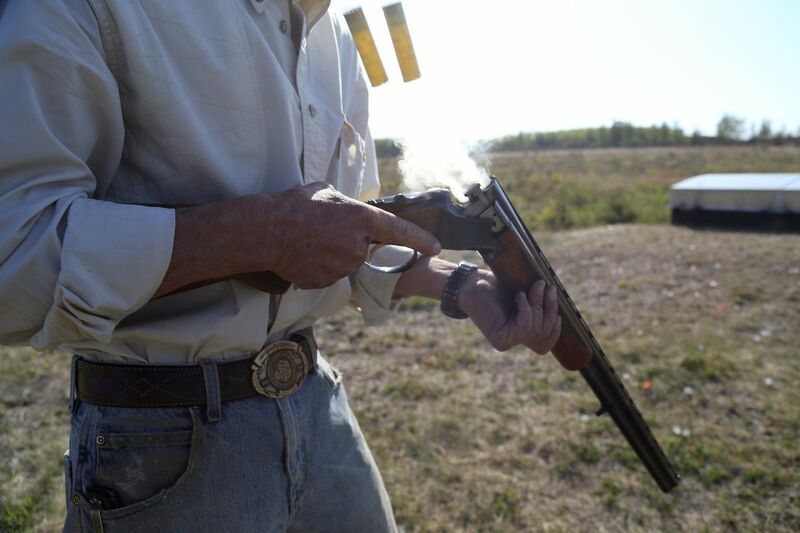 When a pump or autoloading shotgun is fired, the spent shell is ejected out the side and into the environment one is hunting in. Often they cannot be found, and then they become litter, no different from throwing a candy wrapper on the ground. In the close quarters of a duck blind, or on some clay target ranges, an autoloader or pump shooter on your left will be pelting you with spent shells. It's rather distracting. Most modern break-open designs eject spent shells automatically when the action is opened. But it is simple to place your hand over the breech, catch the shells and put them in your pocket. Some shotguns are available without auto ejectors, which is even better, and a gunsmith versed in the process can de-activate the auto ejectors. My love of the over/under shotgun began in the 1960s while I was tagging along on pheasant hunts with my dad and his buddies. The group was composed mostly of farmers who hadn't much extra money for extravagance but appreciated quality shotguns, and they mostly shot Model 12 Winchesters. Then sometime around 1965 or 1966, one of them, a fella who was doing a bit better for himself, showed up with a Browning Superposed. I fell in love. The first job I had, bagging groceries at a local market, allowed me to save the money (it took a while) to purchase my first, of many, over/unders, a Winchester 101. In the field, especially in waterfowl hunting, hunters often ask, "Don't you wish you had another shot?" During 50 years of hunting I've observed countless wing shooters in the upland and waterfowling worlds. Few accomplish anything beyond adding more shot to the landscape with the third shot. Shooting decoying ducks or geese, the third shot can be useful for some but even then, the third shot is often just a prayer. 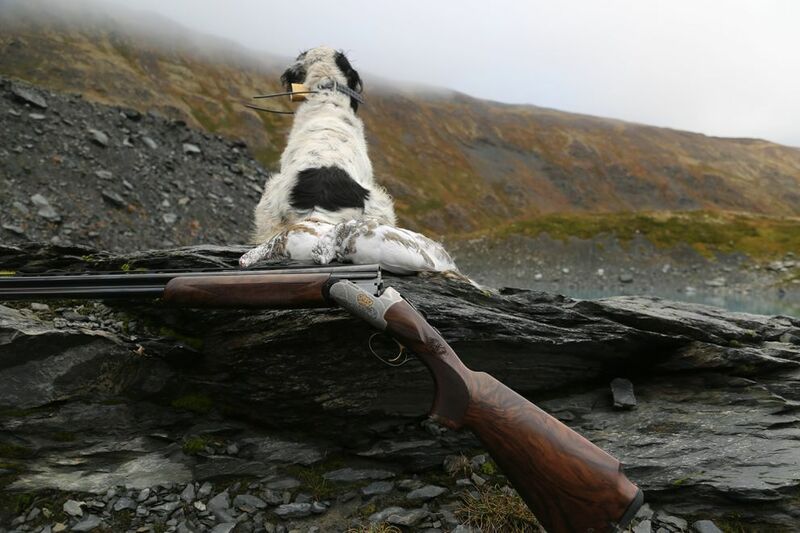 In the upland world of fast and scattered flushes, the third shot is even less useful. The exception being that occasional tight holder, in a covey that flushes late after you've fired two shots. Think of it this way: How often have you been conversing with other hunters and had one say, "I tripled on…" Occasionally one will say, "I doubled on … the other day." Human nature being what it is, if a third shot is available, more than likely it will be taken, to no avail. Joking with friends, I like to tell them that if you stop shooting three shells every time you'll save enough money to buy an over/under in no time. Expense was a consideration for many years. The available over/under shotguns cost more than virtually any autoloader and certainly more than pump guns. Modern manufacturing has changed that. Perfectly serviceable over/under shotguns can now be had for less than the state-of-the-art autoloaders and even some pump guns. For the beginning hunter, the over/under is simple to operate and lends itself to safe gun handling. Loading, unloading or just checking them is simple and requires minimal manipulation. The safety is operated with the thumb and is easily taken off as the gun is mounted for the shot. If all of that isn't enough, the over/under, with its sleek receiver and fine balance, is a joy to carry in the field. And even the moderately priced examples are beautiful, eye candy by any definition. And then there is John Browning's original thought: the last gun.